There is something very special about being a Berklee student. We all have the same love of music and thrive being around like-minded artists. 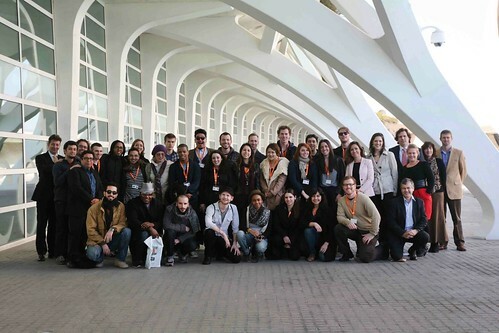 When I arrived the second week of January in Valencia, Spain and met the other Global Studies students, that same feeling of like-mindedness was there. I knew from that moment it would be a great semester in this beautiful city. 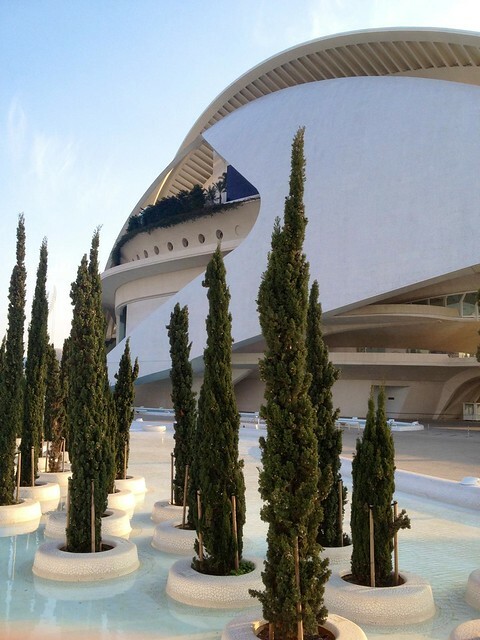 Valencia is the third largest Spanish city, is surrounded by the Mediterranean and is home to the Ciudad de las Artes y las Ciencias, home of Berklee Valencia. Our campus is housed in the Palau de les Arts Reina Sofia, which is an iconic building in Spain. 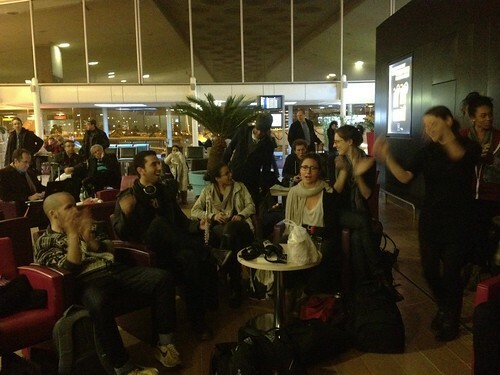 We had only been in class for one week before departing to Cannes, France for MIDEM, the world’s largest music conference. We spent four days discussing music business with industry affiliates and professionals who owned major record companies and creators of some of today’s largest online music stores from around the world. I had the honor of meeting some very interesting people during the conference who took the time to discuss the global market, how the music industry is changing, and as an artist what I can do to promote myself in the best way possible. The convention was geared more towards the music business student, but even as an artist, getting the inside scoop in the business end of things really makes you think about yourself as a business and handling yourself as an entrepreneur. One of the evenings, Berklee threw a party at Morrison’s Pub with a guest list that included our very own President Brown, alumni, guests from the conference and a night of live music, being played by Berklee Valencia students and of course, Berklee alum! We also had the honor of attending the NRJ Music Awards, featuring LMFAO, David Guetta, Justin Beiber, Shakira, MIKA and numerous French artists. This was a trip that we’ll never forget! The day after we returned from Cannes, we met the President of Generalitat of Valencia in the Generalitat Palace with our own President Brown, and had a tour of their facilities. It was very exciting to meet Government officials who have been so supportive of Berklee Valencia. We also had the honor of traveling to Torrent, a city outside of Valencia to play with students at “Tots músics, tots diferents”, a program that teaches music to students with special needs. Since our group is so small, we are able to work together on music projects and truly take advantage of our extra small class sizes. We’re a mix of Music Business, Performance, Professional Music, Film Scoring, Jazz Composition, CWP, MP&E, and Songwriting majors, all from different parts of the world, so this makes for one interesting jam session! All of the students and staff are making this semester to be an unforgettable one, and I can only imagine what will happen in the next few months while we’re here. Adios and bye for now! 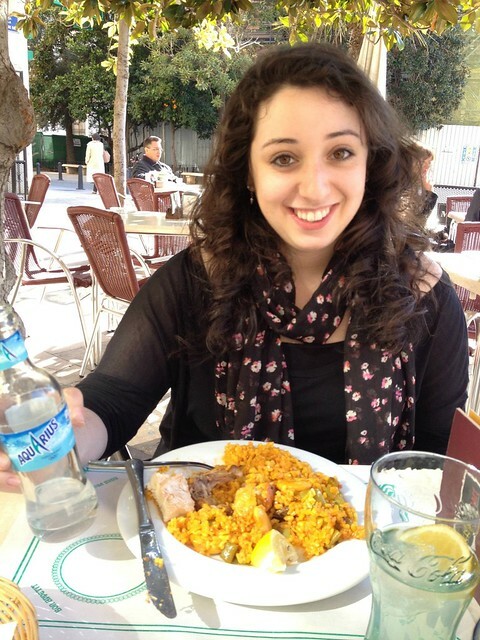 Looks like you are having a great time in Spain! Thanks for sharing your blog with the entire Weissler family here in Los Angeles. How is your singing en Espanol going?